Who knew cleaning could be so therapeutic? Anyone who’s experienced serious depression can tell you that it makes accomplishing the most basic, every-day tasks almost painfully difficult. At times, it’s hard to even get out of bed in the morning. Recently, a series of photos went viral that give an unflinching look at what it looks like when someone lives with depression and, ultimately, decides to fight back. 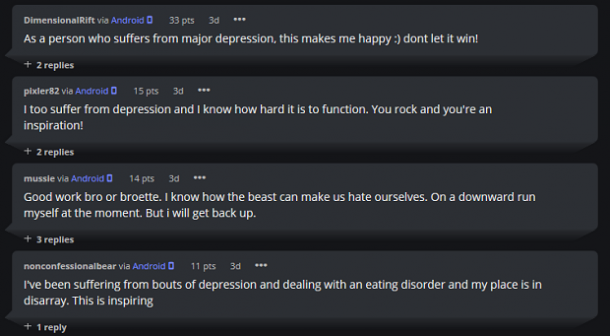 The two photos were posted to the image sharing site Imgur under the title “Me 1 — Depression 0!,” and, since their initial posting, they’ve been viewed over 330,000 times. The images present a before-and-after look at the original poster’s bedroom. The “before” picture shows the bedroom covered in trash, the floor almost completely covered in plastic bottles, and the bed itself overwhelmed with clutter. The second image shows the exact same room, but it looks almost completely different. The mess is gone, the bed is made, the room feels lighter and brighter. It’s a simple change — a typical bedroom clean-up — but, in the context of the post, it feels like a huge personal victory. Many of us have been in the exact same place when it comes to depression. Unable to sleep, eat, or take care of the simple life tasks we do every day. But this small act of defiance against depression really struck a chord with Imgur users, inspiring hundreds of thousands of views and over 1,400 comments. It’s important to note that accomplishing simple tasks like cleaning your bedroom can actually be a big deal when learning to live with depression. The condition of person’s physical space is often used as an indicator of mental distress — hoarding is a prime example — and living in an unkempt space can actually worsen a person’s overall sense of depression. So, can you really call straightening up your bedroom a “victory”? Yes, you can. Because anything a person can do to take back their daily lives from doubt and anxiety is an important step in the right direction. 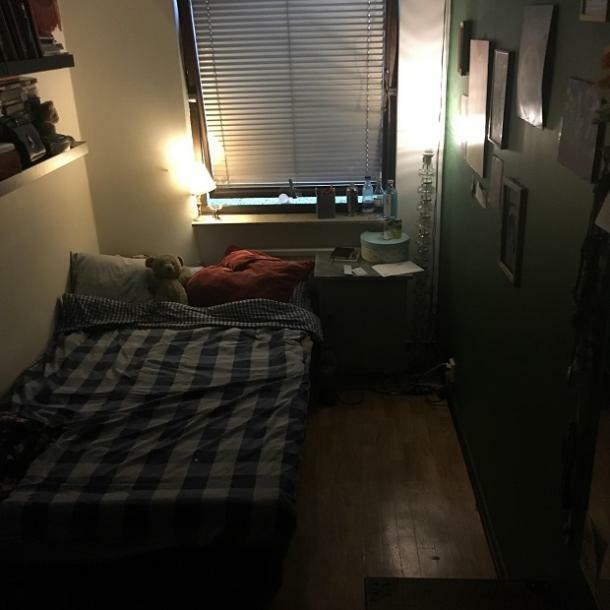 And these two Imgur photos show that hundreds of thousands of people recognize how significant something like a clean bedroom can be when someone is struggling to cope with the all-too-familiar feelings of depression.